A very popular mine, with rocks for both low and high leveled miners. 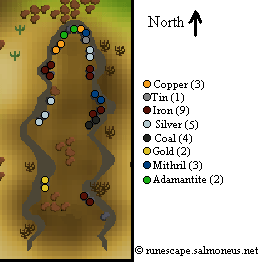 It is close to the Al Kharid furnace and many people mine the iron, silver, coal, gold, and adamantite. Lower levels should be wary of the Giant Scorpions however.